As I already said, with links sites kind of vote for each other, and some "votes" are more trusted by Search Engines than others. This is what we call different link quality. Like, when you ask for advice on to which nursery to take your kid, you′ll better trust Maggie who′s got three kids of her own, rather than Charles, who′s a bachelor of 47 years, never had children and only heard about nurseries from his friends. Always think of the quality of links you′re getting. And I′ll give you tips that′ll help you get only premium quality links. 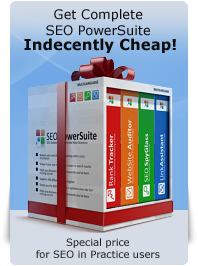 There′re hundreds of such websites that promise you SEO wonders, but I′ll tell you how it all works. FFA (Free For All) sites and link farms are pretty much alike: FFAs are special sites where anyone can drop a link — and a link farm is any group of web sites that all hyperlink to every other page in the group. You can be tempted by a promise of "10,000 FFA links" and you may even really get these 10,000 links, hoping that your site will look very "popular". But instead, you get nothing but bad neighborhood and, most probably, penalization. Google often acts like a human being: it′ll think if you "hang out" with these "bad guys", you′re pretty much the same. The quality of links you can get at link farms is most often so bad that Search Engines may stop trusting you and even kick you out of their indexes due to membership in a link farm. Therefore, stay away from FFAs and link farms and try to build good quality links — and build them at the right pace. Sure, it takes longer to get a high quality link, but the results are worth the effort. In the next chapter I′ll tell you how quality links are built. And right now, I′ll let you know, what a good link is made of. Previous: What's the purpose of links? Quality of page linking to you is so important. This diy book is just what I was looking for. The quality of the content on this site is amazing and I'm heading over now to buy the tools mentioned. Thanks! do you have a list of quality links that i can use in link building. Thank you. www.bad-neighborhood.com/text-link-tool.htm to check the site you plan to link to first. Here you see if it has duplicate content, blogspam, bad links. The suggestions there are very accurate, and you would not want to link to a page with neg. results from this tool. May I know what is the criteria of a search engine to consider a website bed. 1. thousands of links = if it is then all link directories are bad sites. There is one more point I want to talk about in link building --- sense of relevancy in inbound and outbound link. I think you will consider this point in upcoming chapters. But if not please let me know about the same. I would choose 1 and 3 as affecting your rankings. Yes, we'll be talking about this. Thanks for your kind support by answers. Thanks for good suggestion about quality links. I think you're both right. Certainly early on linking from bad sites can hurt you. I think everyone's heard of the "sandbox effect". However, I think if you've already established an authority established reputable site you have a certain level of trust in the search engines eyes. IF you have reached a realy high status of trust, even the worst of bad links still counts for something (although it's probably a microscopic effect) as long as google still recognizes the site. Once read a thread on a forum of someone trying to take down a #2 site (as they were #1 and had that site steal some ideas and write some nasty reviews about their site), so they sent an unfathonable amount of links using some blackhat tool in attempts to get them removed. It backfired and soon they were the one at #2. Regardless it was a hilarious read watching it play out, and raised some potential ideas about writing negative reviews about every #1 site for a related keyword, hoping they try the same tactic, lol. I have links from sites that I never knew existed, up to now I have never asked anybody for a link, I expect we will find out why these people link to sites at all, at the moment, I can't see what they get out of it. I also wonder why yahoo can manage to find 8542 links and Google can only find 3, are they bad at finding this data, or just too mean to share it?